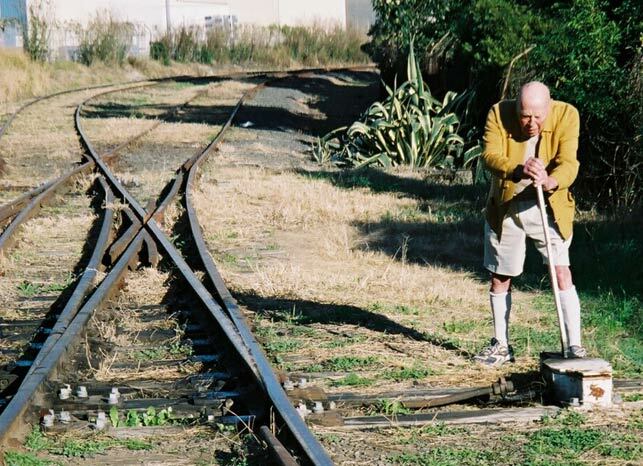 Just off Anzac Street, Chullora, this apprentice railway signaller needs to hurry to switch the tracks. That dark shadow in the background may just be the train coming around the corner. 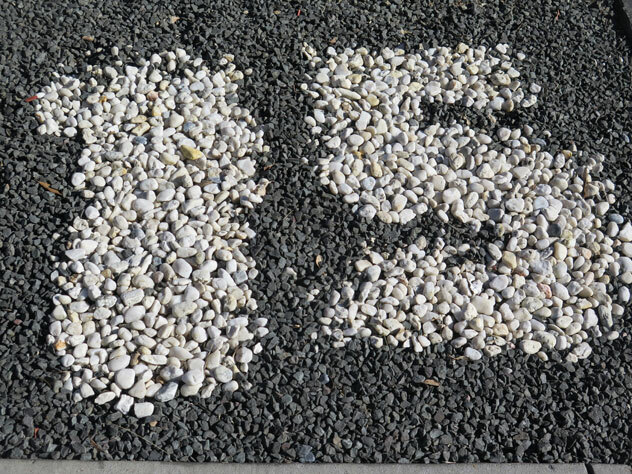 Do you like our pebbles house number in Silverwood Way, Claremont Meadows? 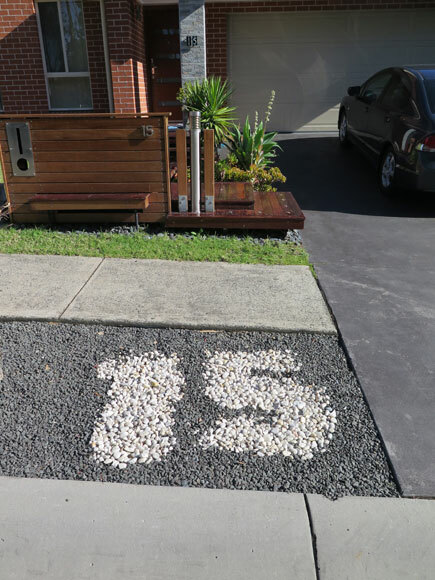 One of the many attractive driveways that are a feature of Clemton Park is this one from Bexley Road. 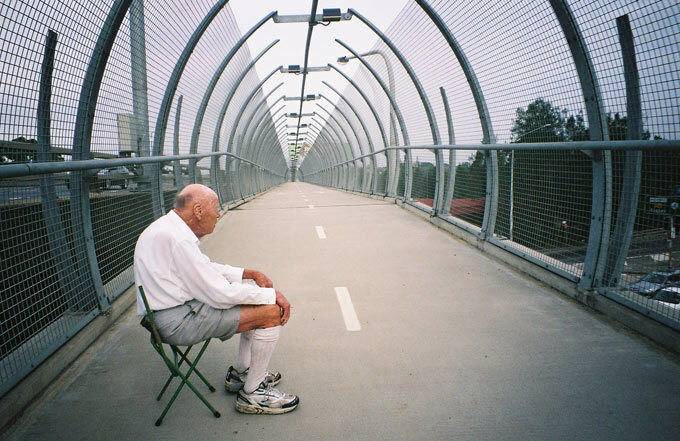 Alan rests on his perch in the 300-metre cage across James Ruse Drive and alongside the M4 Motorway at Clyde. Parramatta Road is one of Sydney's busiest, yet it shares the Clyde section with trains. 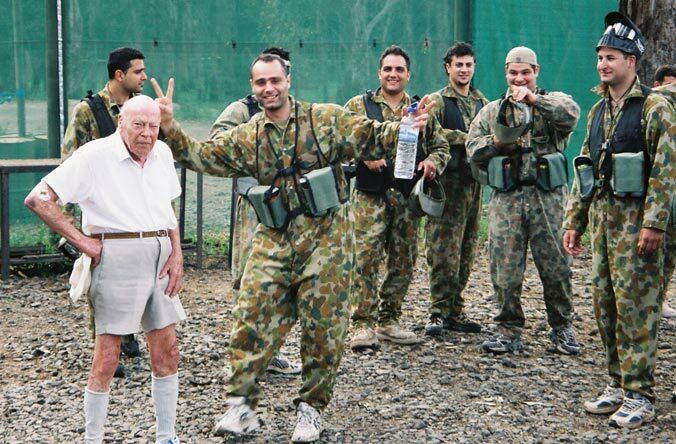 With crime on the increase in Sydney, Alan now takes army escorts on his walks to ensure his safety. While doing Richmond Road, Colebee, he generously gave his escorts time off so that they could enjoy a game of Paintball.